Atlanta, GA: This November, Atlanta is gearing up for an expansive multimedia musical experience, Shanti – A Journey of Peace, a pioneering work that bridges cultural connections through choral music, movement and visuals. The brainchild of Cincinnati based composer Kanniks Kannikeswaran, Shanti explores choral harmony and polyphonic overtones in several Indian ragas. “Shanti explores the idea of peace and interconnectedness in a very powerful way. Musically, it is an oratorio for mixed choruses, a chamber orchestra, an Indian orchestra, dancers and multimedia. It explores ancient chants for peace in a very contemporary setting. Shanti brings communities together through music.” says Kanniks in his interview with NRI Pulse. The Atlantashow, in association with IACA marks the tenth performance in the tenth year of Shanti. The choir in Atlantaincludes 90 Indian singers, over 40 western singers, 25 in orchestra and over 60 dancers with multimedia. “I have participated in Shanti twice and continue to find new ways in which the music impresses on me. I felt very compelled to bring this unique music concept to the greater Atlanta audience,” Says Ajay Madwesh,Atlanta coordinator of Shanti. 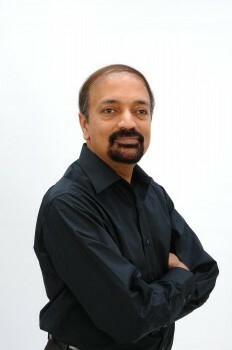 “Back in the 1990s I had this vision of portraying the story of India on a large scale – with hundreds of singers – and with an Indian and western orchestra – and wanted this to convey the real spirit of India – ideas that have stood the test of time – ideas that are for humanity – not for one country or one culture – amazing ways of looking at ourselves and the universe – as opposed to the commercial characterization of India as a land of beggars or outsourced jobs,” says Kanniks about the origin of Shanti. Kanniks’ dream came alive in 2004 with Shanti’s debut in Cincinnati. Shanti was invited to perform at the prestigious Aronoff center in 2006. 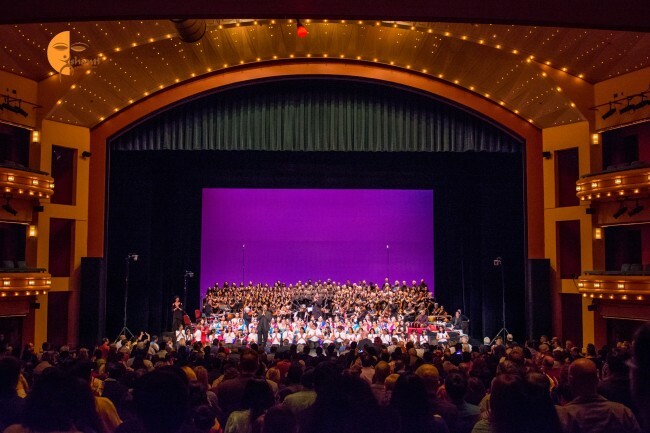 Shanti made its way to Allentown, PA where the Indian community choir was built from scratch and western singers drove from Cincinanti in 2006 and repeated performance in 2008. Shanti performed at Houston with singers from the Houston Indian community and UN choir. Shanti celebrated its 10th Anniversary at the Aronoff center. “The visuals take on a different flavor each time it is choreographed in a different city,” says Kanniks about various performances of his magnum opus. Shanti’s choir generally consists of locals who are not essentially professional singers but folks simply interested in music. A local group or person takes initiative to put together all aspects of the show and Kanniks pays regular visits to guide the team. “Shanti has brought different Indian communities together. The western choir perceives the message of shanti and becomes one with the group. Shanti has also led to the blossoming of Indian community choirs in Tampa, Fort Lauderdale, Washington Dc, Chicago, Toronto, Minneapolis – and now the Netherlands. The Greater Cincinnati Indian community choir won two silver medals in the World Choir Games – and one of the tarans in our repertoire is being sung by the Madras Youth Choir in Chennai!” beams the delighted composer. “I would love to see Shanti performed in DC with alumni from all around the country/world – with the president and the first lady in attendance,” he adds. Kanniks’ training in Indian classical music commenced since the age of eight. Kanniks released his first album Tiruvarangam in 1992 where Alwar pasurangal was set to music in contemporary style. Writer Sujata was full of praise for it and encouraged Kanniks to come up with Part II – however the project was shelved because of lack of resources. His award winning research on Nottusvara Sahityas – music based on popular western melodies of 18th century composer Muthuswam Dikshitar and recording of this genre, ‘Vismaya – An Indo Celtic Musical Journey’ has earned worldwide acclaim. 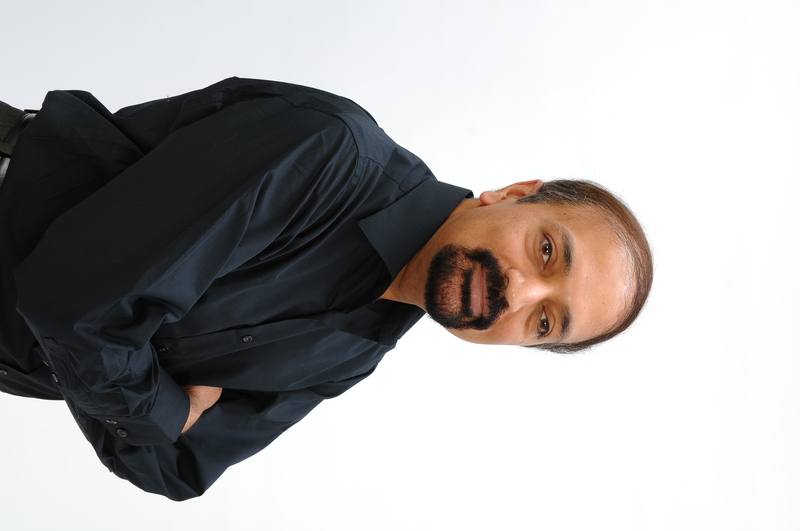 An IIT Madras Engineering graduate, Kanniks has earned degrees in Engineering and Business in the US. Kanniks has been teaching Indian music theory and history at the College Conservatory of Music, University of Cincinnati since 1994. “It is gratifying to see post doctoral students use what they have learned in my course in their academic careers,” he says. Kanniks is working on ‘Ragas in Symphony’ to be performed in Europe and some recording projects of Tamil choral music. In the works are some potential collaboration inIndia. He also intends to document through a recording the complete collection of the Hindustani music of Swati Tirunal. You may check http://www.kanniks.com/ for details.